Tales of Ineptitude: Almost done! 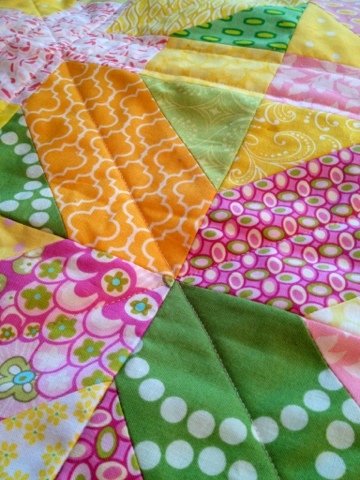 I finished quilting my xplusalong, Sunshine Daydream! I'm so stoked to get this quilt on my bed! 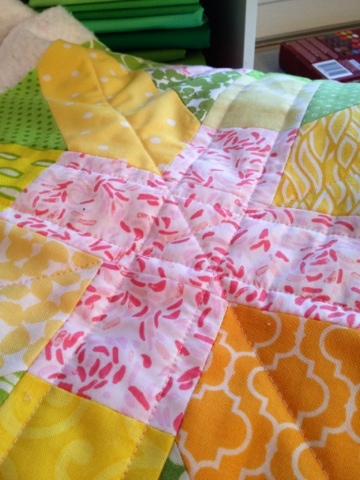 I did some simple straight line quilting along the x's and the plus's, and I really like how the intersections of the quilting mimic the block pattern. I did two lines in the vertical and horizontal sections (the pluses) and just one center line of quilting on the diagonals (the x's). I wanted to do double lines on the diagonals at first, but found that that created at hot mess of chaos at the intersections in the middle of each block. I like how it's turned out! Awesome! You work much quicker than me. 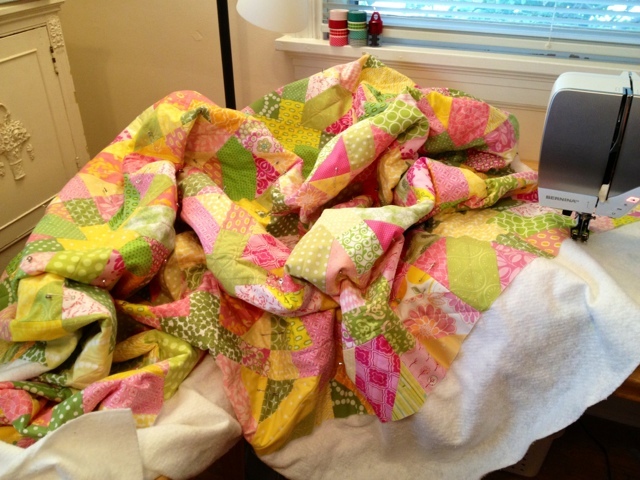 I've only ever stuck with and finished one quilt all the way thru without starting a new project! I have 4 I'm in the midst of quilting now. It looks really good. Can hardly wait to see what you do for binding...scrappy? Solid? A high contrast color? thanks so much! this was a fun pattern to make, I think you'll like it! Quilt Factory.... except not really.